Made of polyurethane foam, it has insulating properties, and is suitable for use with both dry ice and wet ice salt solution. 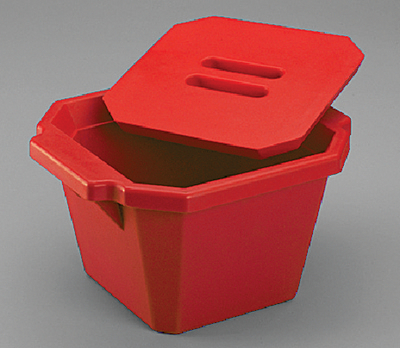 The large 4L size makes the bucket ideal for classroom use or large bottles of chemicals/reagents that must be kept cold. A flat locking lid also allows for convenient stacking and storage. Resistant to temperatures from -20 to 70°C.